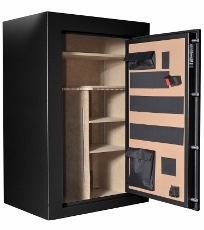 Is the door of the safe removable to make it easier to move? For added security, the door is not removable on Cannon Safes. Do Cannon Safes have key backups? For added protection, Cannon Safes are not equipped with a key backup. 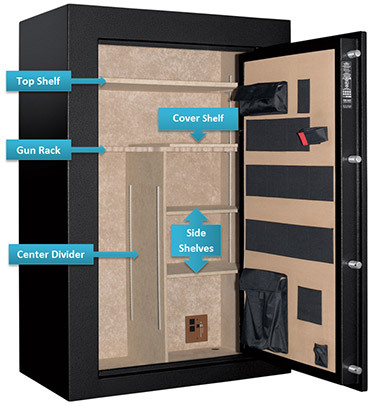 What size are the knockout holes in the back of the safe and how many are there? The size of the knockout is ½ inch and there is only one hole. Every Cannon Safe model comes with a knockout. If you decide to use it for any reason please be careful not to alter the hole in any way as it may void your warranty and damage the integrity of the safe. There is a small hole in the back of my safe. What is it for? Does it effect the fire rating? This is a knockout that allows you, if you so choose, to run your own electrical through to the safe so you can use dehumidifiers or lights that require power. This does not effect fire rating, as long as the hole is not altered in any way. Do I lose my combination if I change the battery or if the battery dies? No, your combination is stored within the locks computer and will not be affected if you change the battery or if the battery dies. When utilizing the knockouts in the back of the safe how does it retain fire protection? The knockouts are small enough that they will not be an issue if a fire event occurs. As added protection though, Stack-On offers an installation kit which includes seal that expands for extra protection. Is there a backup way to get into the safe if my batteries die? For added security there is no other way to get into the safe. 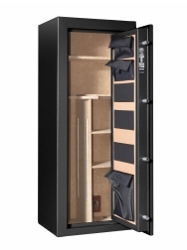 However, the battery compartment is located on the outside of the safe so you can still change the battery and regain access to your safe, even if it dies. The combination will remain the same. What is the combination of my new safe? Is there an option to install a power outlet in the safe so I can use a dehumidifier or lights? The only Cannon Safe model that comes with a built-in power supply is the Cannon 1965 premium model. However, all Cannon Safes come with knockouts in the back to allow for the wiring of electrical systems to use with lights or dehumidifiers. When using the knockouts be careful not to make them any bigger. This can void your warranty and compromise the integrity of the safe. We also have cordless dehumidifiers and light kits available. How does the silica gel dehumidifier work? When the indicator beads turn pink, the silica gel is saturated and needs to be reactivated. To reactivate the beads, place the entire unit (do not disassemble) in the oven at 325 Fahrenheit for at least 3 hours. Let the unit cool enough to handle, then return to the safe. Note: the indicating beads will gradually turn blue once reactivated. What is the proper way to accept a safe delivery? The frequency that you will have to change your battery varies by user. If you use your safe multiple times a day you may have to change your battery more frequently than someone who uses the safe three times a week. Just to be safe, we suggest changing the battery of your safe twice a year. Cannon Safe offers a bi-yearly battery change reminder via text or email. Signup here so you never forget! What kind of battery should I use? We recommend using an all alkaline Duracell or Energizer battery with an expiration date of five years in the future. This will ensure optimal lock performance. How do I use an electric dehumidifier in a safe without a power outlet? An alternative option to an electric dehumidifier is our silica gel dehumidifier, which does not need electricity to operate. If you prefer the electrical option, Cannon Safes come with knockouts in the back to allow for the wiring of electrical systems to use with lights or dehumidifiers. When using the knockouts be careful not to make them any bigger. This can void your warranty and compromise the integrity of the safe. Where are Cannon’s safes manufactured? Cannon Safes are made and manufactured in Mexico. How long does the “lock-out mode” last? Lock-out mode lasts five minutes. Refrain from pushing buttons while the battery connects or the timer will reset. What size screws or anchors should I use to bolt my unit to the floor? We recommend using Red Head 3/8 inch x 3-3/4 inch concrete wedge anchors. Can I upgrade my digital keypad to EMP? 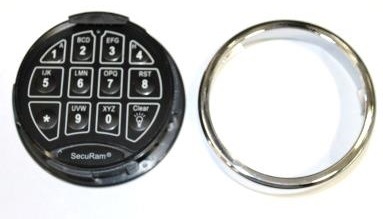 No, the wiring configuration in the digital keypad is different when compared to the EMP lock. Can I replace the digital keypad with a mechanical lock? 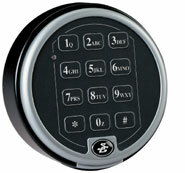 Digital locks provide secure and fast access to your valuables. 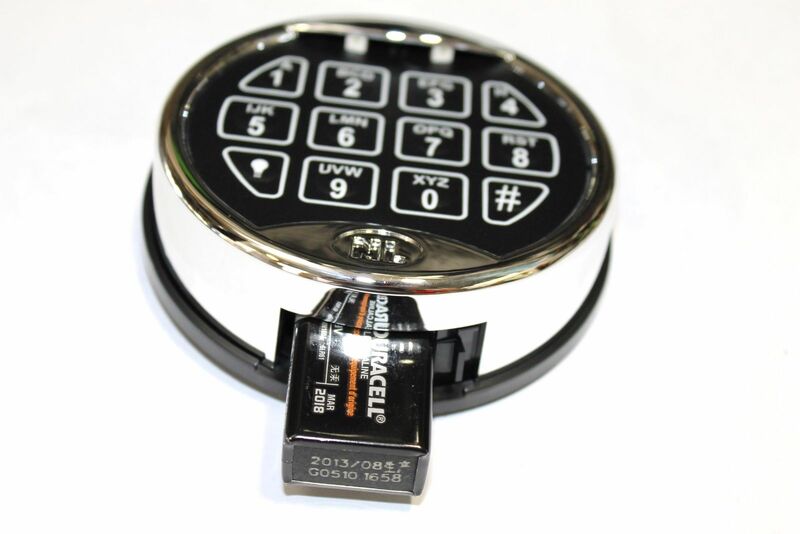 Safes with digital keypads cannot support a mechanical lock because they lack specific features to guarantee protection. Does my warranty cover me if I lost the combination to my safe? The warranty does not cover lost or forgotten combinations, improper opening procedure, and weak or dead batteries. 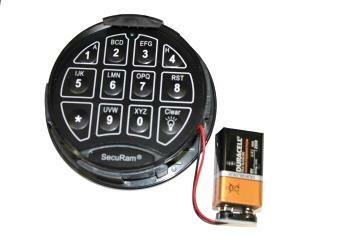 Electronic and EMP locks carry a one-year warranty for labor and a lifetime warranty for parts. What should I do if my safe experiences fire, flood, or burglary? Please call us at (702) 910-2400 ext. 774 and explain the situation. We will ask for certain information to process the claim but rest assured knowing your Cannon Safe is covered for the lifetime of the safe if you experience one of the unfortunate events mentioned above. What if the paint on my safe is damaged? Paint comes with a one-year warranty, depending on proper care and environment. If you need assistance with paint warranty please call us at 800-242-1055. How can I contact a Sales support representative? You can reach our Sales Support Representatives by calling 800-242-1055. Our hours are Monday to Friday 5 am to 6 pm PST and 8 am to 12 pm PST on the weekend. Please be aware that our hours may vary during holidays. You can also get in contact with a representative using the Live Chat feature on our website. Please keep in mind the hours of operation are the same as they are for phone calls. Where can I find customer service or technical support? Hours of Operation: Monday through Friday between 5 AM to 7 PM PST. Saturday and Sunday between 8 AM to 12 PM PST. Closed on major holidays. Where can I find the model number for my safe? You can find the model number for you safe on the door of the safe. Where can I find the serial number for my safe? Find the serial number on the right, outside body wall of the safe, in the upper front corner. The serial number will be on a small silver sticker. What do I do if my safe didn’t come with a Combo card? Your safe must be equipped with an EMP lock to receive a combo card. This lock comes on our Cannon 1965 Premium Model. For more information or to place an order for a Combo Card please call customer service at 702-910-2400 ext. 772. Where can I find an Owner’s Manual for my safe? Here you will find a PDF version of the original owner’s manual shipped with your safe. Within it, you should be able to find answers to most of your questions.. Please take a moment to read the manual to get a full understanding of all the features associated with your Cannon Safe. How do I reactivate my Silica Gel Dehumidifier? Download the Shelf Order Form. Looking at the image, determine which shelves you need. Keep in mind that we no longer make shelves for past models. To produce and ship the shelves it will take approximately 5-8 weeks. If you have any questions please contact customer service at (702) 910-2400 ext.772. Unlock the safe and leave the door open throughout the next steps. Note, you will need the MRC code to do this. This is a number that is available only through the factory, please see “How do I get my MRC Code” if you need help. Open the safe using the MRC code. Leave the safe door open and in the locked position (locking bolts should be visible). Press and hold 3 until you hear a double beep. Enter the MRC; you should hear a double beep. Press and Hold 1 until you hear a double beep. Enter the desired code (Factory code is 1-2-3-4-5-6); you should hear a double beep. Re-enter the desired code (Factory code is 1-2-3-4-5-6); you should hear a double beep. Test the combination with the door open to make sure the combination was accepted. 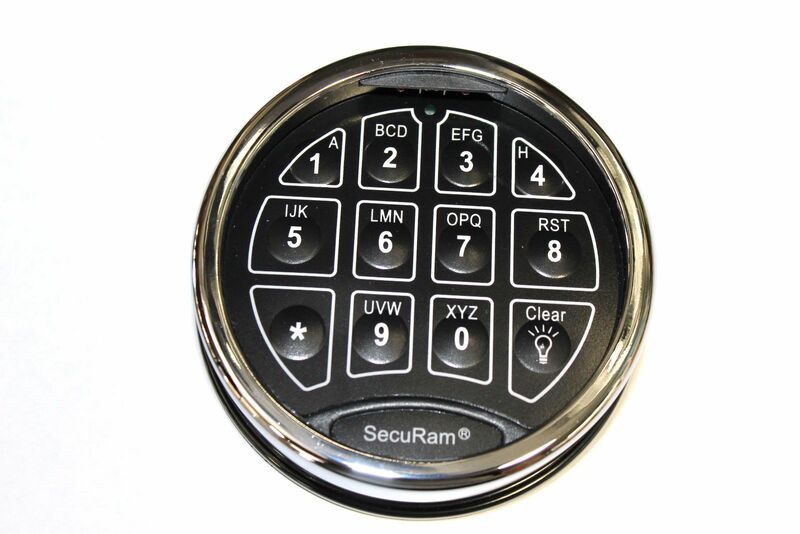 Enter the existing six (6) digit code (for new safes, preset code is 1,2,3,4,5,6), turn handle counter-clockwise and pull door open. With the door pulled open, put the safe in the locked position by turning the handle clockwise. You should be able to see the protruding bolts on the safe door.If there is one (1) long beep after entering the code, the lock did not recognize the code, slow down. Press and hold “0” until you hear a double beep. 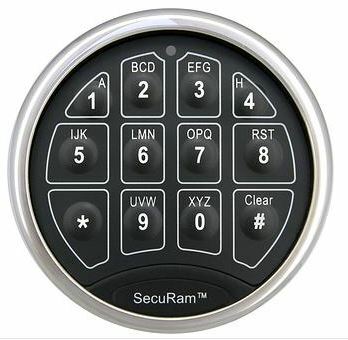 Enter existing six (6) digit code (for new safes, preset code is 1,2,3,4,5,6). You will hear a double beep. Choose and enter a new six (6) digit code. You will hear a double beep. Re-Enter new six (6) digit code. You will hear a double beep.If you hear a long beep, the old code is still valid. Congratulations! You have changed your safe combination. Now don’t forget it because you will need it if you want to change the combination again! Press “0” six times, you will hear a double beep. Select and enter a new six (6) digit code. You will hear a double beep. Re-Enter new six (6) digit code. You will hear a double beep.If you hear 3 beeps, the old code is still valid. With the safe door open, test the new combination. Note, there are two sets of instructions listed below; one is for changing the Administrator Code and the other for changing the User Codes. Administrator Code: it is required when changing or adding additional user codes. User Code: used for people with additional access to your safe. You have up to 8 user codes. Press “7” then “4”, then “*”. Enter your current 6 digit code then press”#”. You will hear three beeps. Select and enter a new six (6) digit code. You will hear three beeps. Re-enter a new six (6) digit code. You will hear three beeps. If you hear a long beep, the old code is still valid. Congratulations! You have changed you Administrator Code. Now don’t forget it because you will need it if you want to change the User Codes! Enter the Admin Code then press”#”. You will hear three beeps. Press the user number you are trying to change/add (2-9) then “*”. Re-enter a new six (6) digit code. You will hear three beeps.If you hear a long beep, the old code is still valid. 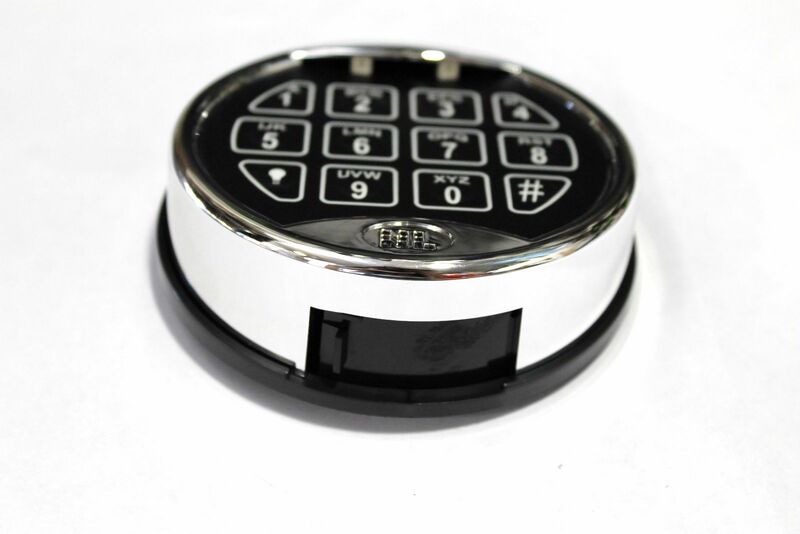 Enter the existing six (6) digit code (for new safes, preset code is 1,2,3,4,5,6), turn handle counter-clockwise and pull door open. With the door pulled open, put the safe in the locked position by turning the handle clockwise. You should be able to see the protruding bolts on the safe door. If there is one (1) long beep after entering the code, the lock did not recognize the code, slow down. Press “#” the “1” hear a double beep. Re-Enter new six (6) digit code. You will hear a double beep. If you hear 3 beeps, the old code is still valid. I hear two beeps but my safe will not unlock, what does this mean? Check the battery. We recommend using an Energizer or Duracell battery that is 100% Alkaline, no lithium, non-rechargeable battery, and with an expiration date of 5 years in the future. Also, try turning the handle to the right, without letting go of the pressure, put in the code, then turn it to the left. Once you hear the 2 beeps your safe should open. Note: If your safe still doesn’t open, call customer service (702) 910-2400 ext.771. My safe will not lock, what do I do? Verify that your batteries work. The best battery to use is a Duracell or Energizer battery with an expiration date of 5 years in the future. 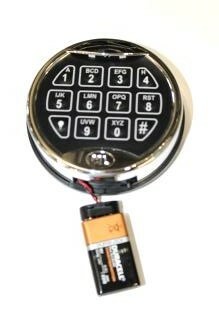 If the batteries have been in the safe for more than 6 months, change them and try opening and closing the safe again. What do I do if I lost my combination? If you lost the combination to your Cannon Safe please fill out this form. After you fill out the form our Customer Service team will check to see if the Master Reset Code is available for your safe. Filling out the form mentioned above does not guarantee that our team will be able to assist you in gaining access to your safe. Master Reset Codes are not available for all safes but we will do our best to assist you. Once our Customer Service department reviews the information we will be in touch via email with next steps. How do I open the safe if the handles are in the inside? To open the safe, we recommend putting a Phillips-Head screwdriver into one of the holes of the hub and turning it to the right without letting go of the pressure. Put in the code then turn it to the left. When you hear 2 beeps your safe will open. My safe did not come with an Owner’s Manual. How do I get one?